Schools and universities that have surfing teams can apply Med Tac’s Lifeguard-Surf Initiative. 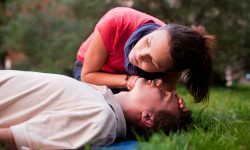 Medical emergencies can happen in any place at any time. It is unlikely that first responders or medical professionals will be nearby when they happen, making you the next best person to assist in a medical emergency before a professional arrives on the scene. 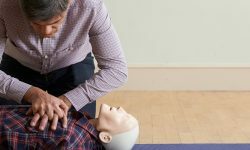 That’s why several security and medical professionals created the Medical Tactical Certificate Program (Med Tac for short), a global bystander care training program that began in schools and scout groups. Once its developers saw success within those organizations, they began exploring other environments where bystander care can have a significant impact. The programs listed here are scalable and adjusted to the organization and environment. They are evidence-based and data-driven. Lifeguard – Surf Initiative: Three of our R&D regions have extensive coastlines with millions of citizens exposed to dangers related to waterways and water sports every year. We have established R&D and training relationships with lifeguard organizations in Hawaii and California. This has led us to target injuries that occur and hazards that exist on our beaches. Lifeguards can be very effective Med Tac instructors, who welcome the opportunity to teach in their communities. Divers Initiative: Scuba divers and dive instructors make excellent Med Tac students and teachers. Safety is the bedrock of scuba training. The principles we teach are entirely consistent with the world-class PADI core curriculum, and our online training program mirrors their learning management approach. It was natural to develop a Med Tac program specifically for divers and dive instructors that addresses the specific emergencies they will encounter. Two of our founders are PADI Certified Rescue Divers. The youngest, Charles R. Denham III, who is a Boy Scout, is one of our junior instructors and is introducing Med Tac to scout groups. Aviation: Emergencies happen frequently during the more than 42,700 flights handled by the air traffic control system every day in the United States. Dr. Gregory Botz and colleagues at MD Anderson are pioneering a training program to address in-flight emergencies. There are at least 70 in-flight health emergencies involving a passenger or pilot every day that pose unique challenges and opportunities for bystander care that can be undertaken to support flight crews. Law Enforcement and Security: Chief William Adcox and his team at the UT Police Department serving the University of Texas MD Anderson Cancer Center and the University of Texas Health Science Center at Houston are pioneering a Med Tac program to specifically address the needs of major medical centers and healthcare institutions. It is the most robust blend of the best medical practices and tactical practices of first responders. Alumni of the program have already saved lives with skills taught in the class. Youth Mentorship Program: Given the high health hazard target of bullying, Charlie Denham III, our youngest team member, is working with instructor David Beshk to create a curriculum developed for kids by kids called the KidLeaders program and a leadership program called LEAD to Serve. The core content will help build a mentorship network to combat the precursors to bullying and suicide. It will be taught with age-appropriate bystander care. Healthcare Security Ministries: The team members are helping train security staff and healthcare volunteers at houses of worship. Although infrequent, active shooter and opioid overdose events have occurred enough to expose significate vulnerabilities. 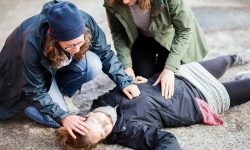 The Med Tac team is undertaking a Boy Scout project to identify what religious institutions need to do to be prepared and equip bystanders with the training and supplies needed to administer care within 3 minutes of victim discovery. 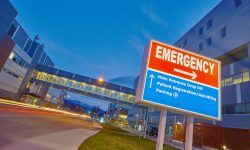 The concept of a Rapid Response Team used by hospitals to rescue patients in distress is being explored for faith-based organizations that combines medical and security personnel who can respond together for certain emergencies. Corporate Programs: The Med Tac Team is exploring the opportunities to help enterprises serving the public, such as hospitality and restaurant businesses with what they need to care for their staff and patrons before professional first responders arrive. Some sectors are more common sites for mass casualty and active shooter events.